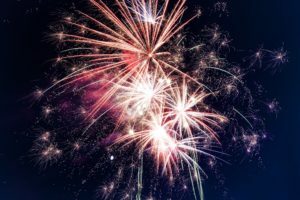 Do You Know Your Fireworks Laws For The Fourth Of July? We are wishing everyone a Happy Fourth of July from DeJean Noland Law Office! Before you get on with the celebrations, it’s always best that you know where you can and can’t pop fireworks. Fireworks are allowed within the parish with the exception of Donaldsonville and Gonzales. Fireworks are not allowed anywhere in the parish, including the cities of Central, Baker, and Zachary. If caught, you’ll face up to a $500 fine or up to six months in jail. Fireworks are legal within the parish with the exception of Denham Springs and Walker. If you’re caught once, you’ll have to pay up to $100. If you’re caught again, it can total up to $500. Fireworks are legal in the parish. There are no regulations on fireworks outside city limits. Fireworks are legal within the parish only from dusk until 10 p.m. a.m. on the Fourth of July. Fireworks are not allowed closer than 500 feet from any hospital, church, nursing home, or school that is occupied. Fireworks can be set off in the parish from 8 a.m. to 10 p.m. June 25 through July 5. Fireworks are legal within the parish with the exception of within city limits. Fireworks are not allowed within 1,000 feet of a church, hospital, school, fireworks stand, or public building. Fireworks are legal in the parish, but each city has its own regulations, so residents should double check with their city government. Fireworks are NOT allowed within 1,000 feet of any church, school, hospital, or public building. Fireworks are allowed in unincorporated areas of the parish. Fireworks are not allowed inside the city or town limits. Fireworks are allowed within the parish with the exception of St. Francisville. As always, be safe and be smart when it comes to fireworks!